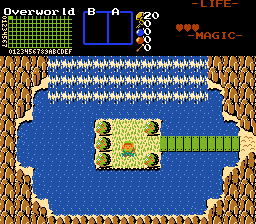 I have about 8 more screens to build to complete the overworld! (8 high, 16 wide ~ typical Zelda 1 OW). Secrets will finish being placed in the world after this, then I will do a few test runs looking for bugs to squash, and finally, this quest will be released afterwards.